Air conditioning is all around us, yet it is a mystery to most. This is surprising since we have had ‘air conditioners’ in our homes since the mid-1850’s. ‘But hold it,’ I hear you say. ‘Carrier only invented the first working conditioner in 1902.’ We are arguing over words. A refrigerator is technically considered an air conditioner because it chills the air in the fridge. But, there are a number of differences. 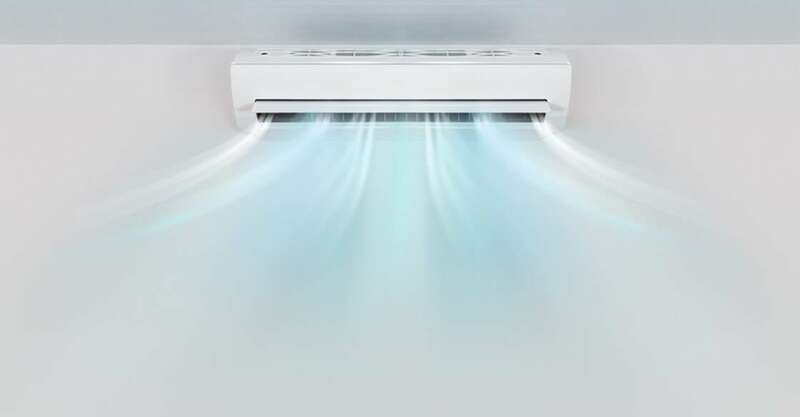 An air conditioner pumps hot air outside the house while a refrigerator pumps the heat against the wall behind it. Refrigerators transfer heat from inside a box to its surroundings, thus the room around the fridge is warmed as it receives the heat removed from the box. So if we tried to cool the kitchen by leaving the fridge door open, the room would technically get even warmer. This is because the fridge motor would be constantly running to move heat energy around in a circle. The real question is actually, ‘how refrigeration works’. How Do Cooling Systems Work? We start with a definition from Wikipedia. After all, they have so many editors and moderators they should have it nailed down by now. Wikipedia says, “air-conditioning is the process of removing heat from a confined space, thus cooling the air, and removing humidity.” But they did not say how this happens. A refrigeration/air conditioner system has three main components. These bits are an evaporator coils (with coolant/refrigerant inside), a compressor, and condenser. First, a fan draws the warm air from the room (or the fridge) through a filter/grill. Next, this air flows through the evaporator coils containing the liquid coolant. This cools the air down before another fan sends it back into the room (or the fridge again). The furnace or air handler pulls hot air into the system through a filter, cleaning the air. The hot air blows through the evaporative coils that contains the refrigerant or coolant liquid. Many refrigerants are so cold that they can boil at a mere 40 degrees (F). The cooled air molecules continue through the supply duct, past the registers and back into the home via the return air duct. As more heat is absorbed by the coolant (a process called ‘heat exchange’) in the evaporative coils, it expands and turns into a gas. The gas from the evaporative coils then travel to the condenser unit, typically located outside of your home, where heat is removed and exhausted. The compressor is the heart of the entire system. It compresses the hot refrigerant and sends it back into the cycle (much like a heart). It takes a low pressure, hot gas (from the heat in your house) and condenses so that it gets hotter. Then the condenser fan pulls the outside air over the hot coils in order to exhaust the heat and remove it from the system. Through the continuous transfer of energy, this process proves that cold is simply just the absence of heat. Who Invented the First Air Conditioner? This is hard to tell as the idea of cooling air dawned gradually. We know the Egyptians cooled it over 2,000 years ago. They passed it through reeds they moistened with water and hung in their windows. This cooled the breeze passing through as the moisture evaporated. Later, the Romans circulated water through walls to cool the homes of the super-rich. That said, American inventor Willis Haviland Carrier was the first to commercialize the air conditioning business. After receiving complaints of humidity ruining paper stock at the Sackett-Wilhelms Lithographing and Publishing Company in Brooklyn, N.Y. Willis decided to come up with a solution. He concluded that by artificially controlling humidity and temperature, and managing air circulation and ventilation he could create a more optimum environment. This solved the problem, and now you know how air conditioners work. Schedule a free consultation to learn more about our San Diego air conditioning services.